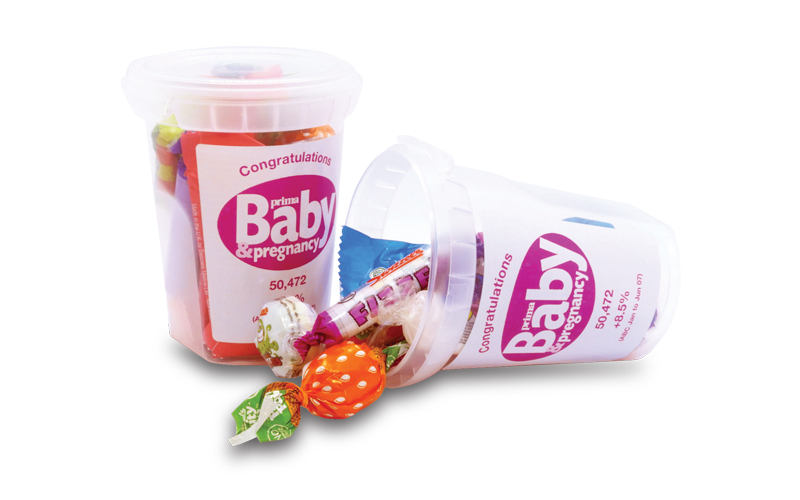 Plastic ‘cup-holder sized’ tub containing an assortment of Retro Sweets and personalised with a digitally printed label. 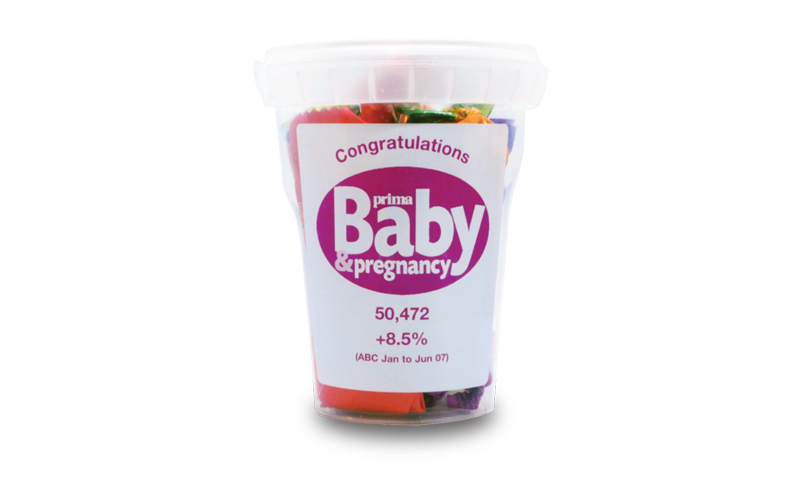 The Retro Tub is a great piece of promotional merchandise, as potential clients can keep it in their car with your brand right in front of them. It’s also recyclable and re-usable!